As a young man living on the Fife coast in the 1970s, The Onedin line was the highlight of my Sunday night television viewing. Inspired by the power of Khachaturian’s emotive music and the exhilarating scenes of the Charlotte Rhodes slicing through the ocean waves with her billowing sails set, I dreamed of escaping to sea on a tall ship. I had to wait 40 years for the dream to become reality, but last summer I got the opportunity to be a character in my own period drama. Star Flyer delights the eye and refreshes the spirit. 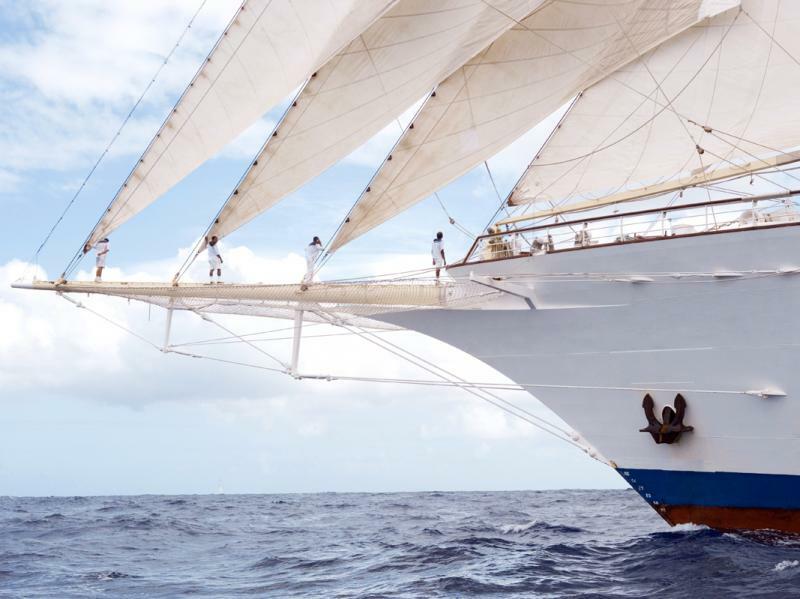 The polar opposite of today’s modern cruise ships brimful of casinos and chic restaurants, this four-masted barquentine is the real protagonist; 360 feet of sheer poetry. Anchored in the Bay of Cannes and rolling seductively in the glinting sun, she inspired me to recite a memorable line from John Masefield’s poem Sea Fever: “And all I ask is a tall ship and a star to steer her by.” The prospect of spending the next seven days before the mast filled me with anticipation. As I boarded, there were no officious security guards demanding I place my goods and chattels in a plastic tray; my body was not irradiated; and no photographer insisted on capturing the moment for posterity. Instead, the administrative formalities were completed in the vessel’s teak and mahogany-panelled library and within minutes I had been presented with a cabin key complete with tassel – a reminder that I was on board a ship where traditions matter. Tall ship it may be, but there’s plenty of room to swing a cat on Star Flyer. My mid-priced cabin on Commodore Deck wasn’t overly large, but it had a comfortable double bed with a handsome clipper print above it, ample and ingeniously designed storage space, thoughtfully-placed reading lamps and a television. The shower had a good supply of unguents and the water pressure was excellent. There are seven categories of accommodation ranging from inside cabins with bunks to an owner’s cabin, complete with whirlpool bath. From bowsprit to transom, the ship has roomy decks and elegant public spaces designed to approximate a vision of ocean travel largely unseen since the turn of the 20th century. 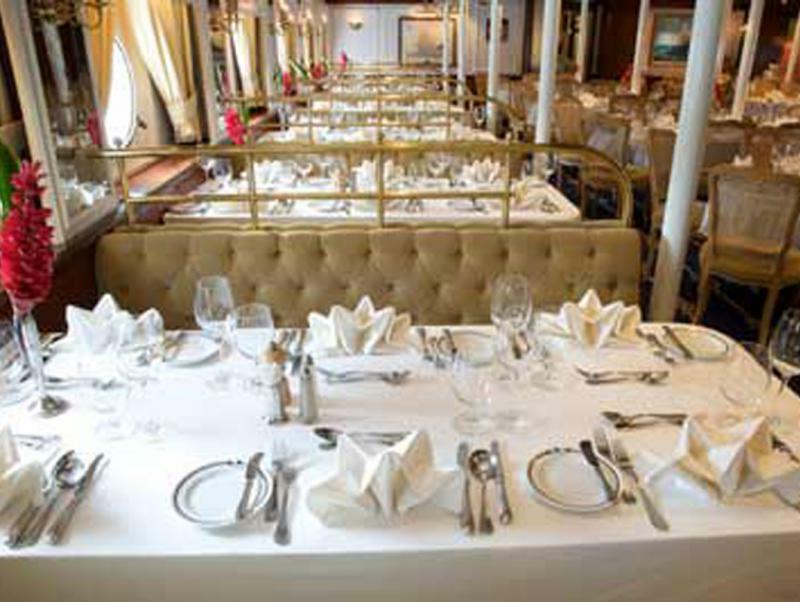 There’s a plush Piano Bar but the outdoor Tropical Bar is the centre of activity both day and night.The dining room, dressed in withan elegant creams and golds, has an Edwardian ambiance and can accommodate all passengers at one sitting. 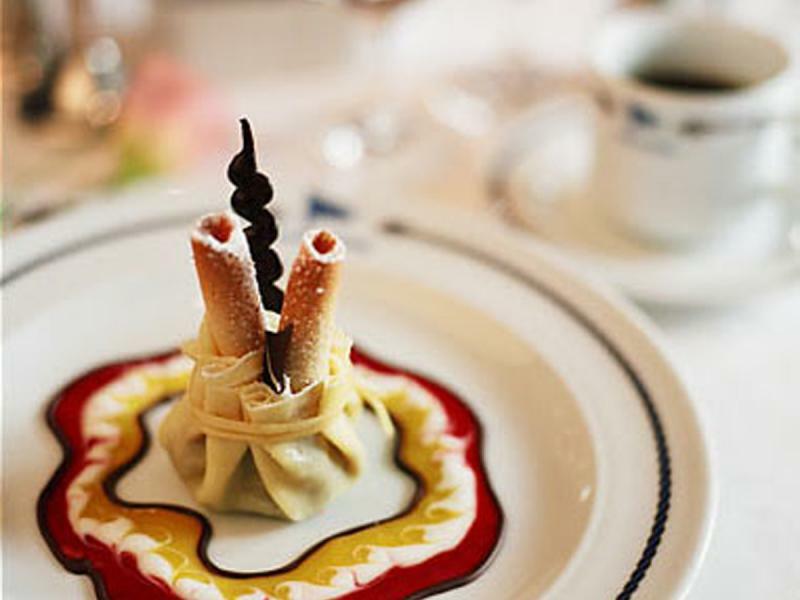 Most meals are offered buffet-style. Amidships there’s a Purser’s Office and ‘Sloop Shop’ which sells Star Clippers logo clothing. Modern attributes include air-conditioning under sail, two small salt-water pools on Sun Deck, and a host of watersports facilities. 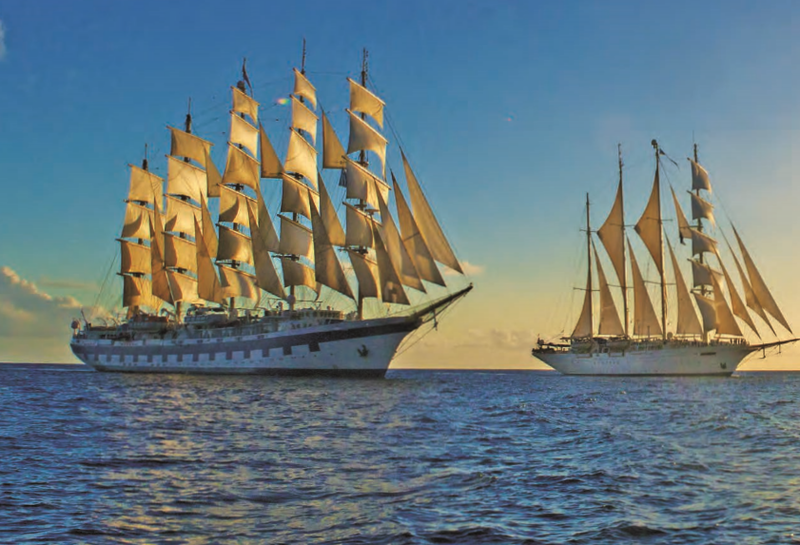 Built in the Langerbrugge Shipyard of Ghent in Belgium in 1991, the four-masted 2,556-tonne Star Flyer is a faithful recreation of the barquentines that battled around Cape Horn more than a century ago. It is from these unforgettable ‘greyhounds of the sea’ – as the glorious clipper ships of the mid-19th century were known – that Mikael Krafft, a passionate and dedicated Swedish yachtsman, drew his inspiration. Clipper ships, so named because they ‘clipped’ the waves, were defined by sharp bows, narrow hulls and tall masts. Their speed of up to 20 knots greatly contributed to the profitability of their owners’ trading companies during the prosperous ‘golden age of sail’. Passengers were carried from London to the Far East and Australia via Cape Horn, usually on one-way tickets. The ships would then race home with cargoes of tea from India, spices and silks from Southeast Asia, or Australian wool and grain. Cutty Sark, now a museum piece in Greenwich, is one of the most famous of the old clippers..
Krafft believes that sailing on a true tall ship represents the heart and soul of his cruise concept. Rather than resorting to ‘sail-assisted’ cruising where the canvas is unfurled and trimmed under the control of a computer, Star Flyer’s Indian and Ukrainian deck crew perform every task on electrically-operated winches and capstans which enable them to hoist all 16 sails in just two minutes. I didn’t have to wait long to see this nautical spectacle. Shortly after 10pm, under a tranquil three-quarter moon, Captain Yuriy Slastenin shouted a series of commands and 36,000 square feet of gently billowing clouds of canvas were set to catch every last breath of wind. As at every sailaway, the sight was accompanied by Vangelis’ sensuous theme music to the film ‘1492: The Conquest of Paradise’ and it brought a tear to my eye, I must confess. The compass was set on a southerly course as the Côte d’Azur, fringed with a mantle of twinkling lights, disappeared in our wake. Early next morning I stood on deck watching Corsica loom ever larger on the horizon. The air was heady with the whiff of pines and wild herbs; this is the maquis, a scent by which Napoleon vowed he would recognise his distinctive homeland even if he were blindfolded. I signed up for an excursion to the island’s hinterland from the seaport citadel of Calvi. After a journey twisting agonizingly over mountain switchbacks, I arrived at the 12th century mountaintop monastery at Sant’ Antonio, Corsica’s oldest village. A pungent cheesecake and local Moscato wine provided perfect sustenance. Back on board, a dip in the pool preceded a nap on deck. All too soon it was cocktail hour and the Tropical Bar assumed a more challenging persona as a squall suddenly turned the placid sea into a white-capped mêlée the colour of hammered steel. During dinner the winds intensified and the ship began to rise and fall with shuddering spasms. While it proved challenging for the Filipino waiters, only a handful of passengers retired early. Fortified by a generous single malt, I headed to the Sun Deck where the crew were trimming the sails in a strategic tack into the howling westerly, the lattice-work of yardarms braced with a tempo of their own. I slept like a babe in a giant rocking cradle and next morning clambered back up top and drank coffee as the white sails bellied and breakers crashed on the steel hull. The sun was shining by the time we reached Figari Beach but I decided the tender ride to shore would be too challenging even for this old salt. Next morning was spent exploring the Sun Deck with its polished brass and varnished hardwoods as well as chatting to Chief Officer Andreas Slowik about the comparative function of the staysails on the jib, the square-rigged sails on the foremast and the rigged sails on the three aft masts. 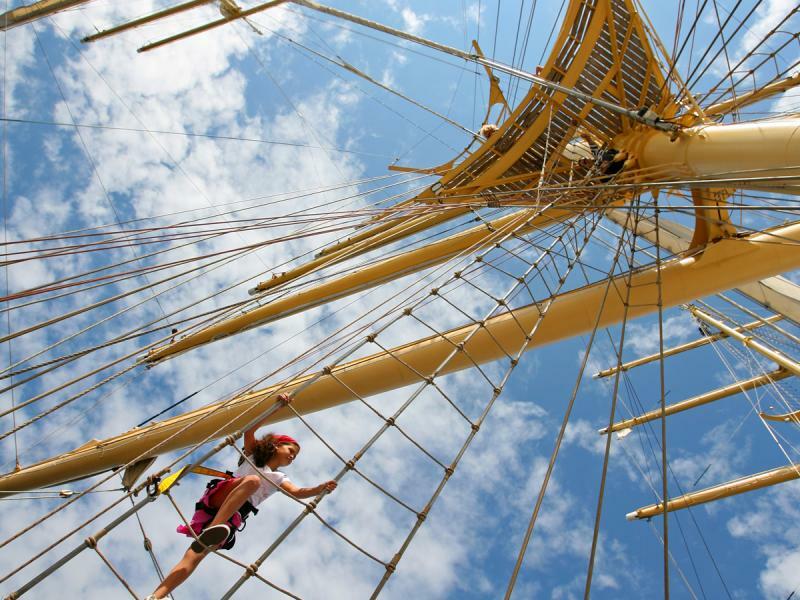 Within an hour I became proficient at differentiating a spanker from a jigger, but I declined an invitation to climb aloft and assist the sailors adjusting the rigging. With lighter winds and calmer seas we cautiously navigated around a narrow headland before nudging into harbour at Bonifacio in the shadow of sheer limestone cliffs. After a pleasant dinner of deliciously creamy asparagus soup and perfectly cooked fillet of halibut, finished off with a tangy Gorgonzola, I took advantage of the overnight stay and strolled along the marina to one of several trendy bars where I joined some of my shipmates. During the next few sun-kissed days I alternated between lying in the ‘widow’s net’ slung beneath the bowsprit, looking down at dolphins gambolling in the emerald sea; and lotus-eating on a beach at Costa Smeralda; leisurely walks around the sleepy town of Portferraio on Elba, indulging in a superb Italian lunch in Santa Margherita Ligure, and sipping overpriced cappuccinos in Monte Carlo. Captivated by the creaking of the rigging, the sigh of the wind in the sails and the sibilant murmur of the waves along the hull, I had fallen in love with the mercurial, enduring and glamorous anachronism that is Star Flyer. As I headed home I began to realise the characters in the Onedin Line never had it so good. Fares: A 7-night cruise departing Cannes on 24 September 2016 and visiting L’Île Rousse; Figari Beach; Bonifacio; Ajaccio; Porquerolles; Sanary-sur-Mer; St Tropez (overnight), from £1,829 pp including flights.